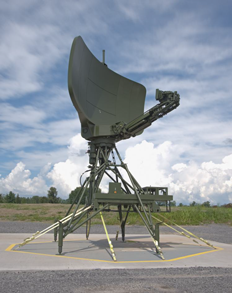 Easat Transportable Air Traffic Control Radars ensure cost-effective and targeted response to crisis situations in remote or potentially hostile regions, as well as in more benign situations. 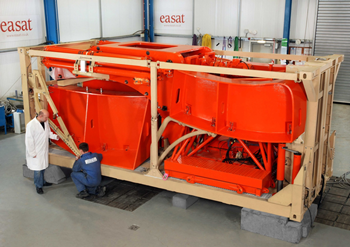 Easat EA21650 is a Transportable air traffic control radar designed to support safe and efficient airspace operations wherever air traffic management infrastructure is non-existent or has been severely compromised. Easat EA21650 has complete air traffic control management functionality in an easily transported self-contained configuration, enabling rapid autonomous deployment worldwide by truck or cargo aircraft. EA21650 is dual frequency - S-band and L-band - providing full primary and secondary air traffic surveillence capability. 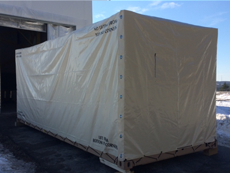 Easat EA21650 Transportable antenna can be provided with a deployment pallet, which is configured on the dimensions of a standard 20' ISO container. 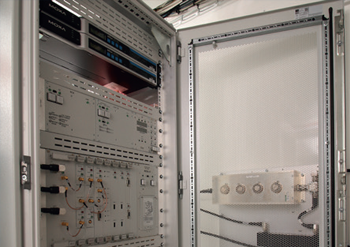 This bespoke pallet has an integral hoist mechanism enabling full operational deployment of the antenna, without any external mechanical handling equipment, within two hours of arrival in theatre. S-band and L-band lightweight carbon fibre antenna. Full MIL and DEF-STAN Qualification. Antenna and pedestal mounted on bespoke 20ft pallet. 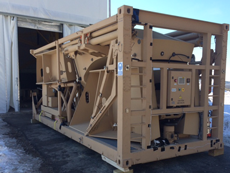 Transportation and deployment pallet - no external MHE required for antenna system's full deployment. 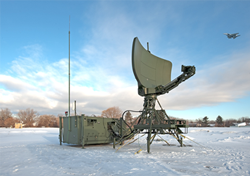 The EA11570 is Easat's compact Tactical Deployable Air Surveillance Antenna. It can be supplied either trailer mounted or palletized. 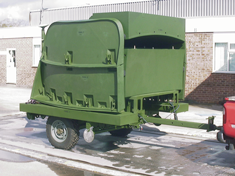 The antenna system is self-contained and capable of being transported by ship, aeroplane, helicopter or towed to site. 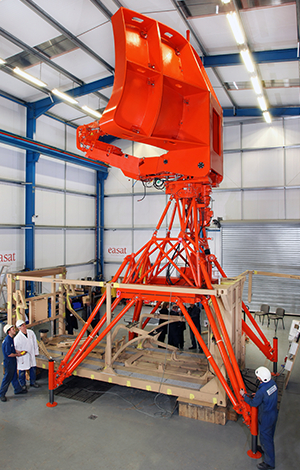 D-CASS can be deployed in less than 45 minutes following arrival on site. Disaster or act of terrorism relief. Extra ATC security during major events. Ideal for seasonly operated airfields. 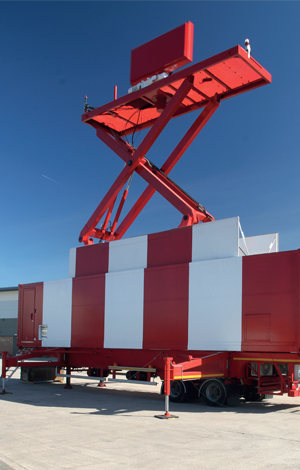 This Transportable secondary surveillance radar system, Mode-S MSSR designed and in full compliance with ICAO and Eurocontrol standards. It is intended for air traffic control cooperative surveillance in accordance with elementary and enhanced Mode-S specifications.. The system is built into a single 40ft ISO trailer format with hydraulic out riggers for stability and two built in equipment rooms one airconditioned for the Mode-S MSSR interrogator and Control and monitoring system (CMS) and the other for the UPS, Generator and Hydraulic system. Easy to transport and deploy. 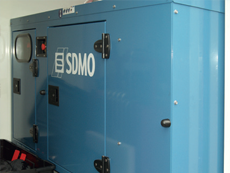 Customisation for different climates, roads and energy supply systems. 40ft ISO footprint with two built in equipment rooms one for the Mode-S MSSR interrogator and CMS and the other for the UPS, Generator and Hydraulic system. Mode 1, 2, 3/A, C and Mode-S up to level 5, ELS/EHS. Built-in extended reception channel testing.